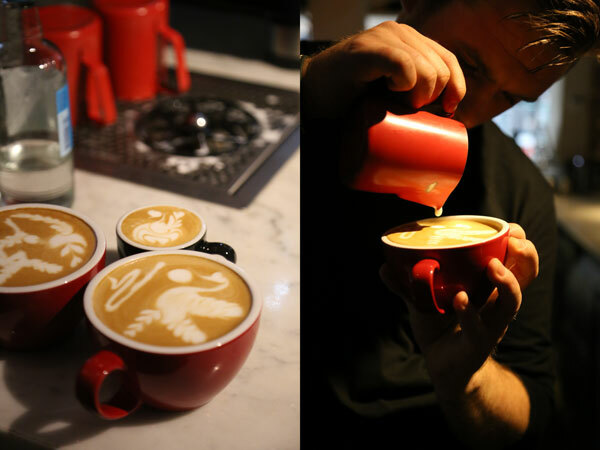 39 Steps Coffee Haus is located on the corner of D’Arblay Street and Berwick Street in the heart of London’s Soho. The popular hotspot takes its name not from the John Buchan play, but the number of stages it takes to make the perfect coffee. From cultivation to production, there are a whopping 39 moments behind every brew. 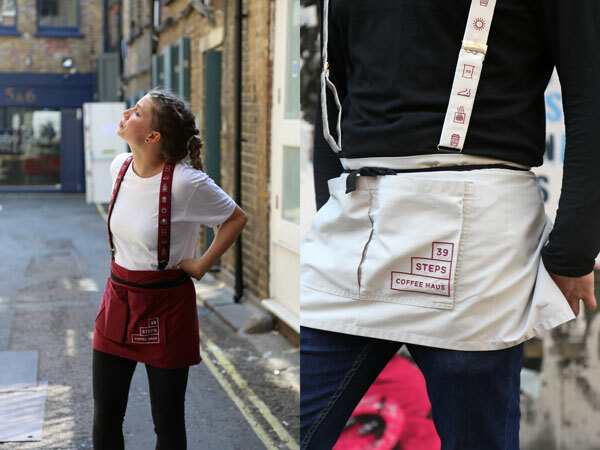 As the team behind the 39 Steps planned their grand opening, they approached Field Grey to design a cool, clean uniform solution that was tailored to its vibrant mix of friendly baristas and staff. It was clear from the onset that a casual mix of separates was key. We were inspired by the café’s bold, graphic branding and the complementary colours of the stylish interior. 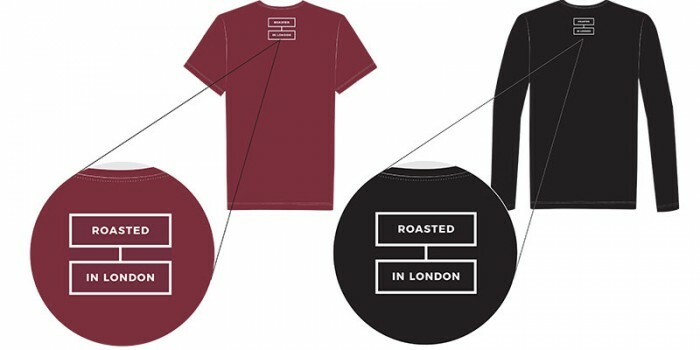 The step-like branding design with bold text translated perfectly to bespoke embroidery, as did the café’s ‘roasted in London’ motif. 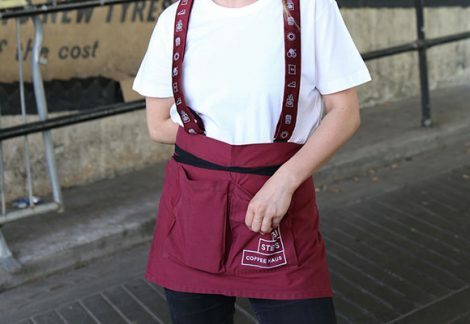 This was applied to both the demi-apron range and the mix of short and long-sleeved t-shirts. A selection of stone, burgundy and black separates were created. Colours were chosen based on the café’s branding hues. These are worn with whimsical braces featuring the different icons associated with each of the 39 coffee-makin’ steps. 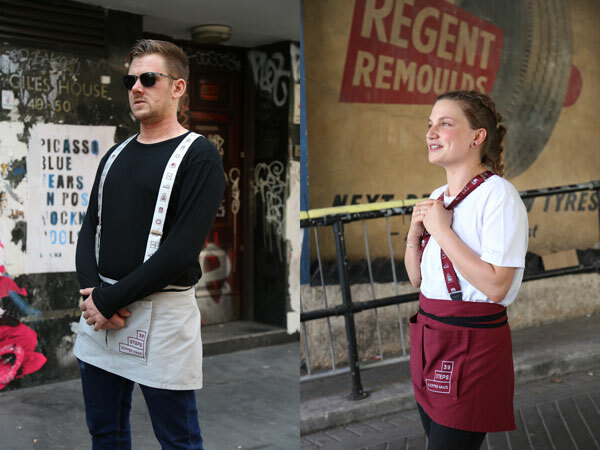 On a bright sunny morning last Autumn, our resident photographer Lennie Mason took portraits of two members of the 39 Steps Coffee Haus team. The portraits showcase the ease of mixing and matching the separates to create different looks for different members of the team. The uniforms can be worn all in one colour or by mixing up colours. See behind the scenes content from the portraits shoot here. Field Grey design bespoke and ready-to-wear uniform solutions for a variety of businesses, in the UK and internationally. We craft our designs to individual business needs across a variety of sectors, such as hospitality, retail, travel or hotels. We also supply off-the-peg solutions that can be tailored with a variety of options. For more information, email dee@field-grey.com. We look forward to hearing from you!